Halkida Dog Shelter What Can I Do? There are always a thousand things to do around the shelter like walking dogs, repairs or cleaning. We realize that every country has its shelters with pets left and/or abused by their former owners and these animals have just as much a right and most of all a need for a new and loving home. 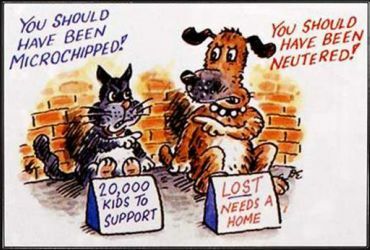 But if you want to help a Halkida’s dog obtain a better life by adopting one, please do so! For our daily work we need a lot of material. Most of it is not too difficult to get, however, there are some things that are not available - or they are so expensive here that they are unaffordable. So, if you would like to help us out, here is a list of always needed things that would make us and the dogs really happy! So, if you can help us out with any of these, kindly contact us! We can get the dogs vaccinated and do a passport form for them. On certain flights dogs under 5 kilos can go as hand luggage. For larger dogs you will have to get a hold of a sky kennel. Contact your rep and/or the airline they are flying with and tell them that they are bringing a dog; on most charter flights it is not expensive to bring the dog. establish that it has the necessary antibodies against rabies in it's system. The blood test must be sent to a recognised laboratory and when the certificate of sufficient antibodies has been issued the dog is allowed to travel into the UK six months later. As this new UK Pet Travel Scheme is fairly new still there are still lots of difficulties with it. Sometimes it works out even more expensive than 6 months quarantine in the UK. There are many hidden expenses. British airlines are reluctant to carry unaccompanied animals and charge a lot of money for the handling as well as the tickets. Also, please don't forget that the dogs are still doing quarantine, but in our shelter here in Greece. With all the problems that we have with overcrowding and the fact that we are not at the shelter 24 hours a day there is an element of risk. We have successfully sent quite a lot of dogs through the UK Pet Travel Scheme using Quarantine Kennels in Chingford, Essex and the dogs doing a 'limited' quarantine there.